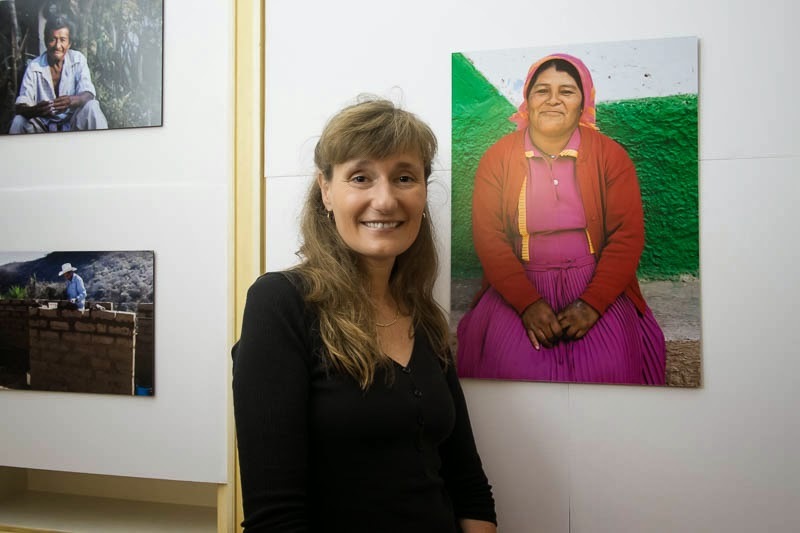 As part of the celebrations of the 193rd anniversiary of Independence of Honduras, the embassy of Honduras is hosting an exhibition by Photographer Angelika Berndt. "I focus on the invisible culture that manifests itself in day to day life" is how Berndt describes her work. Berdnt's images offer us an intimate glimpse into the lives of the people of Honduras. She clearly has been welcomed into the lives of those she photographs as the portraits reveal both the trust afforded her and her empathy with the people she photographs. The vibrant colours of the country and the women leap out of the portraits, you can almost feel the hot sun on your face. It is not just the portraits of family life but also the people at work, we can see it is a hard live but there is still a joy that exudes from the people that Berndt has so beautifully captured. I'd love to see her work. I do follow her blog, though the format changed and it's not possible to comment anymore. A terrific portrait of Angelika!